Over the past season, I really dedicated myself to fishing big meat flies. In the early spring of last year, I (like many of you) realized that I wanted to catch some really big fish. I picked up a streamer rod, grabbed materials to tie some meat flies and began my jaunt into an area I hadn’t really done much of until then. It wasn’t like I hadn’t used streamers before, I just only used them when I had a really good reason to, such as the brown trout spawn. Well, that little jaunt has turned me into a streamer addict; I went from only fishing when there was a good reason to, to streamer fishing except when there was a really good reason not to. I am by no stretch of the imagination an expert, but here are some of the biggest lessons I’ve learned while streamer fishing. Color: The right color often can be the difference between a bad day and a good day. A good place to start is the old adage “bright day, bright fly, dark day, dark fly”. If nothing is happening however, don’t hesitate to switch the color up. Three colors I’m never without are: black, white and olive. Keep stripping: This is probably one of the biggest things beginners mess up on. They’ll see a big flash at their streamer and do a “trout set”. This yanks the streamer away from a fish that likely would continue the pursuit and maybe eat it. When trout fishing especially, the biggest thing a strip set does, is keep the fly in the water if the fish doesn’t get hooked. On other species, you really need a strip set to actually penetrate the fishes mouth, but with trout, the main advantage is keeping the fly in front of the fish. Focus: Although stripping streamers has the reputation of being “mindless”, the truth is, you should focus harder than other types of fishing. I can’t count the number of fish I’ve lost because I wasn’t paying attention. It’s very easy to get distracted during the monotony of casting and stripping streamers, especially when you’re not getting any action. Some things I’ve found that help me are: Visualizing the eat, switching up retrieves and looking beyond the fly. That last one especially is very helpful, often the fish come in from a distance to eat your fly, so looking beyond your fly will help you see those fish. The right line: This part of the equation is very important, it will determine a lot of how your fly moves and what part of the water column you’re covering. As a general rule, if I’m fishing somewhat small water, I use floating water and a sinking fly. I use sinking line when I’m trying to get my fly down deep or my fly is meant to be fished on a sinking line. Tippet size: I might get some guff from a lot of anglers for saying this, but using the right tippet is probably more important when streamer fishing than any other kind of fishing. This is because if you don’t fish the right size tippet then your fly won’t turn over properly, or even worse, break your streamer off. As a general rule, the bigger your fly, the bigger the tippet I use (i.e. I use 1x for size 2 streamer and 3x for size 8). Rod size: You may have heard that you need a big beefy streamer rod to toss any streamers, but the truth is, most of the time, you’ll be just fine using a 5 wt. I personally do use a 7 wt for a good bit of my streamer fishing, but I do that because I fish streamers enough that having a streamer rod around makes sense. Retrieve: The retrieve is probably the number one thing I switch up. A good place to start is the standard strip-strip, but if that’s not working, try going faster, slower, swings, pops, stops, dead drifts or anything else you might think of doing. One thing to keep in mind is how actual fish you’re imitating act. A sculpin, for example, darts around close to the bottom, so if you can imitate that behavior with your retrieve, all the better. The odds game: If you’re getting into streamer fishing for high numbers of trout, stop fishing streamers and start euro nymphing. If you’re fishing streamers to catch big trout, you’re in the right place. However, there are no guarantees when it comes to these fish. Don’t expect to automatically catch 20″+ trout every trip. Instead, think of every cast as a lotto ticket; you may not have very good odds of winning, but the more times you enter, the higher your odds. This past summer, I was really struggling to catch some big trout on streamers. I was fishing a lot-five days a week before and after work. Whenever I had time to slip away, I would. I didn’t end up catching the fish I was looking for until August when I caught three big browns in three days. That’s over two months of constant fishing before catching those fish for those of you keeping track at home. It will happen eventually if you put in the work. 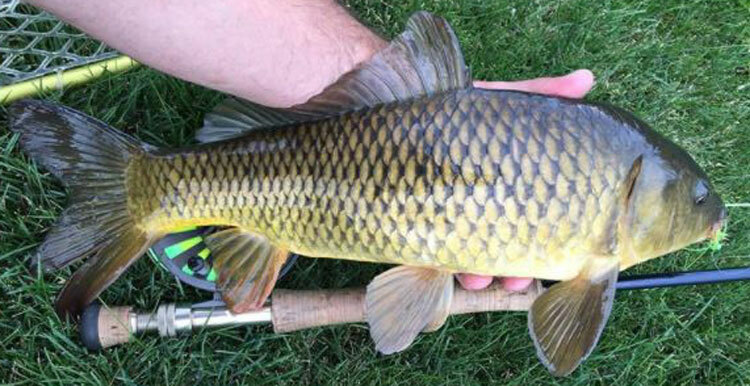 Don’t lose hope, any cast you make could be the one that leads to the fish of a lifetime. Reading the water: This part of streamer fishing is very similar to any other kind of fishing, one thing that I would add is that dead zones that you wouldn’t normally fish nymphs or dries have higher concentrations of smaller fish and are quite effective areas to target because of it. 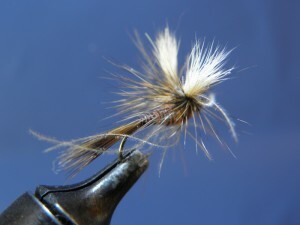 Fly size: Now, with streamers, you can go as big or as small as you’d like. I would experiment with various sizes in your local waters until you find a size that seems like a meal to big fish but doesn’t put a ton of fish down. In my local river, I like fishing flies from size 4 to size 1/0. Just experiment and have fun with it. This really can dial your fishing down as well, bigger flies will likely catch bigger fish, while smaller flies may not appeal to those same big fish. So really just think through what you really want out of your fishing. With these things in mind, get out there and start busting PB’s!